The SRK-200PK generation 2.0 Quick Release features many options that conventional ball-locking quick release system do not. The Generation 2.0 is specially engineered with raised sections to prevent the scratching and stretching of the hub while a self locking feature adds increased safety and functionality. Features a pink body with titanium chrome ring for added style and look. 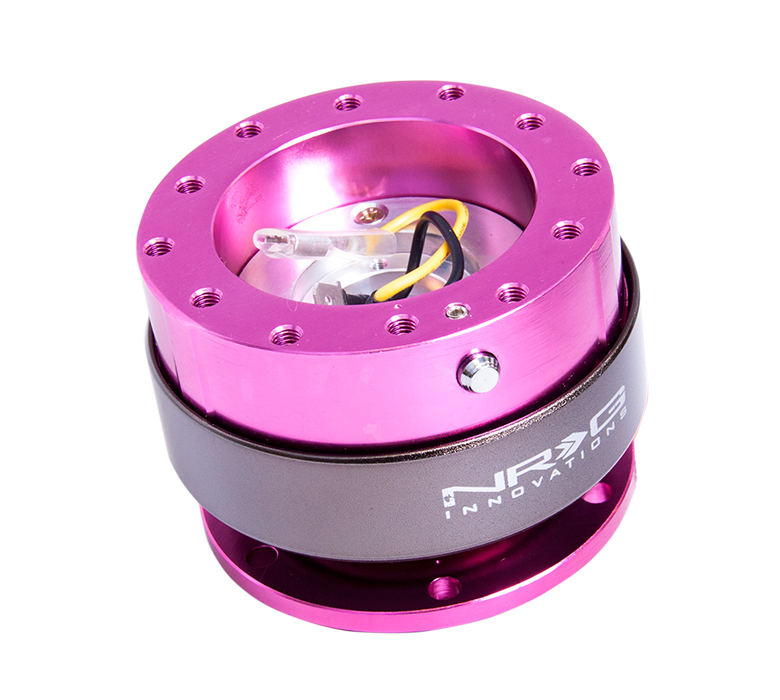 Each unit is made from the highest quality aircraft grade aluminum and is anodized for maximum durability and finish.